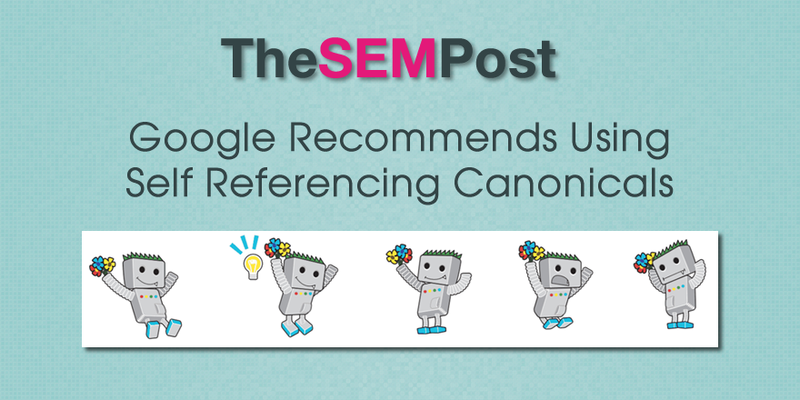 Some SEOs automatically include self referencing canonicals on all pages, while others only use it when it is actually needed due to similar or duplicated pages that should all reference a single page. But what should be considered best practices? The question came up in Google’s last webmaster office hours about whether Google recommends using self referencing canonicals on webpages, even if there might only be a single page on the site. Yes, I recommend doing this self referential canonical because it really makes it clear to us which page you want to have indexed, or what this URL should be when it is indexed. Even if you have one page, sometimes there’s different variations of the URL that can pull that page up. For example, with parameters in the end, perhaps with upper lower case or www and non-www, all of these things can be kind of cleaned up with a rel canonical tag. Often, it is www versus non-www where most people do use canonicals, as well as http versus https, although arguably, using 301 redirects is a much better signal to use in those cases. He also doesn’t mention another reason why it can sometimes be valuable to have the self referencing canonical tag – sometimes if content is scraped or republished, that self referencing canonical tag can be intact on the republished version. This helps Google identify where the content originated from, which saves possible issues with duplicate content. It is worth noting that some SEO plugins will do this automatically in WordPress, so it is possible you are doing this already, or just need to change a setting in order to enable it.